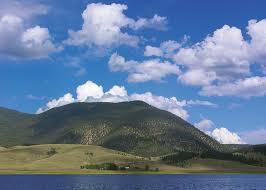 Located on the Enchanted Circle Byway, Eagle Nest Lake is a must stop spot for Northern New Mexico fishing. Stocked with trout and salmon, Eagle Nest offers excellent year round fishing from shore, and boat. Be sure to check out Eagle Nest for winter trout fishing. From Albuquerque take I-25 North to Santa Fe. Take 84/285 to Espanola North to NM 68. Continue to junction of US 64 at Taos. Follow US 64 East following signs to the lake. How's Eagle Nest Lake Fishing? The lake has now opened to boating. The courtsey docks will be placed May 9. Fishing is good using powerbait for trout.